Just as people who recycle know, it can be time consuming and confusing to learn the rules for what can and cannot be recycled and how to recycle those materials. Sometimes, it can feel easier to throw everything out. However, recycling is important, especially for environmentally hazardous waste. The same goes for medical disposal services. The tips mentioned here focus on recycling sharp medical waste. Follow established guidelines for disposing of sharp medical waste. Your professional organizations should have policy on what qualifies as sharp medical waste in different healthcare fields. Wrap or otherwise product sharp medical waste before placing it into the sharps disposal container. Needles or equipment with jagged edges could puncture the bags. 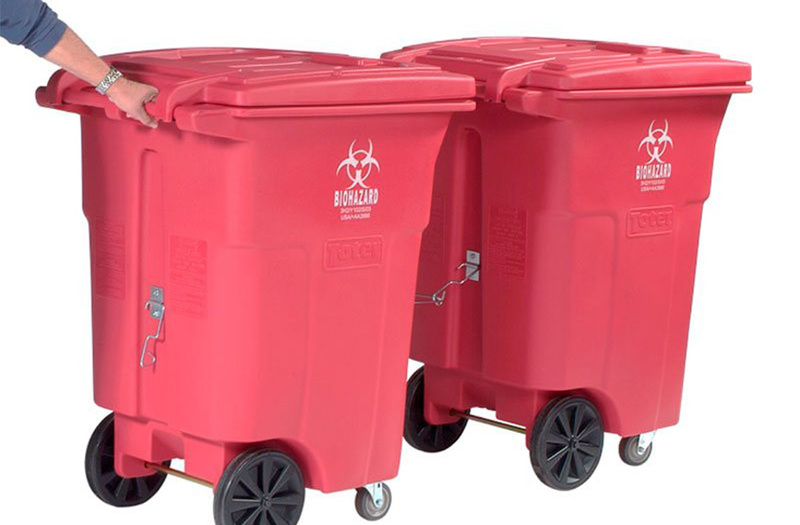 This could actually allow other hazardous medical waste to escape its’ original container. 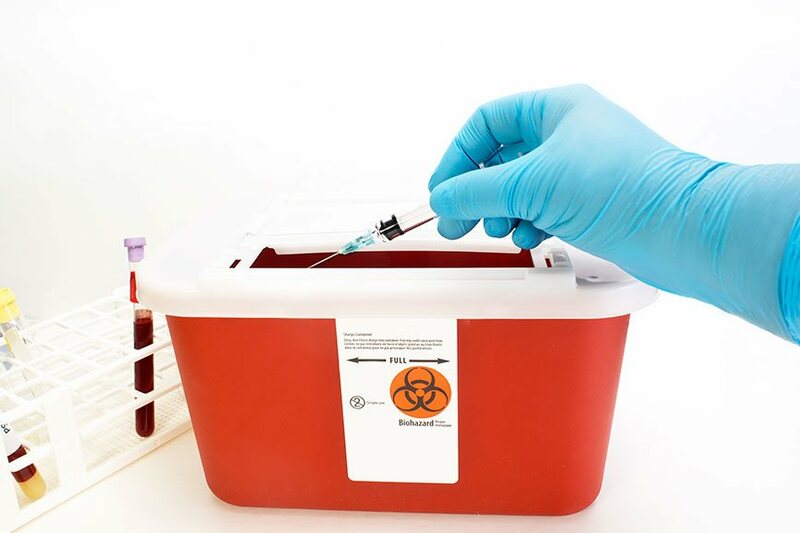 Another risk of not wrapping sharp medical waste appropriately is that it can release pathogens in an uncontrolled environment such as HIV, hepatitis B, or tetanus. Never place sharp medical waste directly into the red disposal bags. This can cause injury when someone is pushing the bag down. Do not overfill the sharp waste container. If the container is filled too high and someone else opens it to stick something sharp in the container, they could puncture their skin. ONLY put sharp medical waste into the sharp waste containers. 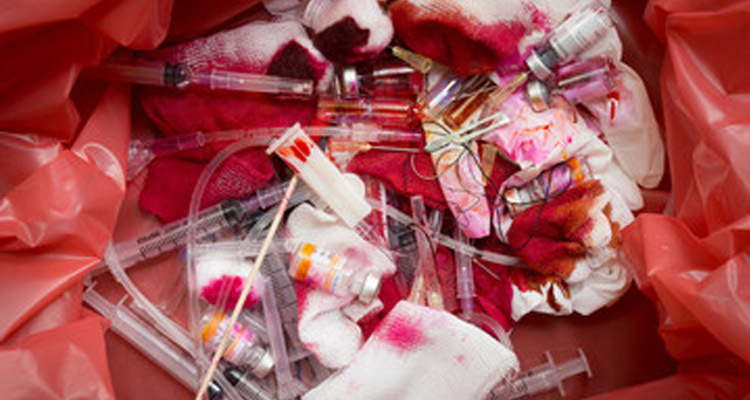 Sometimes, the sharp waste is next to filled with drugs, chemicals, or mercury. A medical waste company will not separate these materials from the sharp waste once it has been put together. These chemicals are hazardous and should be recycled in specified containers. Chemical waste that is not recycled appropriately may be released into the environment inadvertently as sharp waste and chemical waste are dealt with in different processes. If you move to a different medical location, you should not worry about taking your waste or getting rid of it. It should be picked up at the existing location. You should ensure that your medical waste company has a permit to deal with whatever waste they are collecting. It is your responsibility to verify this. Medical waste that is not recycled correctly poses risks to healthcare workers and the general public. Prevent this risk and learn more about our procedure for disposing of sharp medical waste by communicating with us Glycon LLC.